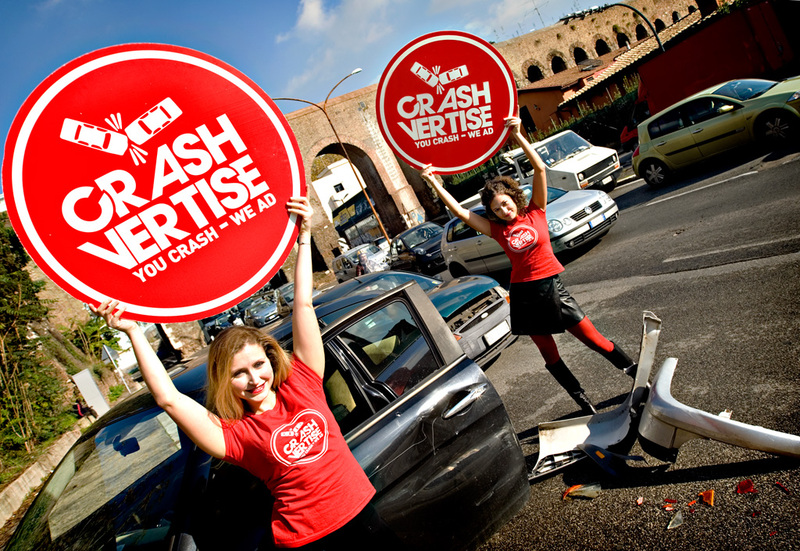 Crashvertise, a new form of advertising form KOOK Artgency, aims to leverage the prominence of car crashes as an advertising medium. Complete with facts and figures on where and when the biggest car crashes occur, Crashvertise offers "an all new guerrilla marketing trend by which 'the crash is the message.'" - The Craschvertise Team hit the streets showing the campaign on large scale posters and giving away safety vests with your brand to all the people involved in the road accidents. - Gadgets or other advertising stuff are given away to people in the area. Yes, it's totally stupid (and fake) but they did put in quite a bit of effort to flesh the proposition out. It's not assvertising but it's equally as odd.